(CNN)Serena Williams has been forced to withdraw from the Miami Open due to a knee injury. Williams, who won the most recent of her eight titles at the tournament in 2015, recorded a hard-fought victory over Sweden's Rebecca Peterson in her opening game. We hope she feels better. 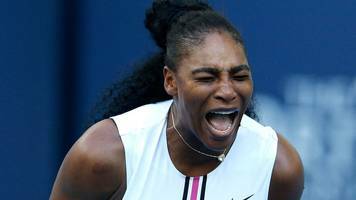 Serena Williams Quits Tournament Due to 'Extreme Dizziness' Williams withdrew from the BNP Paribas Open on Sunday after battling a virus. The tennis star started out strong against Garbine..